The former president of CBS will head up Xbox Live's new original programming division. 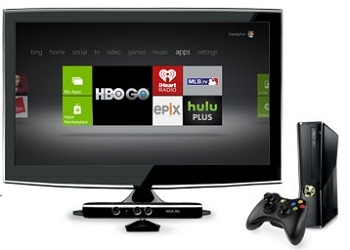 Over the course of its long lifecycle, Xbox Live has grown from a multiplayer service to a multimedia bazaar, complete with features spanning from streaming services like Netflix and Hulu Plus to coverage of the current US presidential election. And Microsoft has no intention of stopping there. Yesterday, the company announced that it has hired former CBS President Nancy Tellem to helm the development of original streaming content. "The Xbox is already a consumer favorite," Tellem said, in a recent press release, "and we now have a tremendous opportunity to transform it into the center of all things entertainment - from games, music and fitness to news, sports, live events, television series and movies - so consumers have one destination for all their entertainment needs." Don Mattrick, president of the Interactive Entertainment Business Group at Microsoft, added, "Under [Tellem's] direction, we look forward to building and extending our creative offerings from the living room to all your devices." Details of what sort of original content Microsoft intends to create is scarce, but one thing is certain: Most major networks have been very slow to embrace the internet as an entertainment medium. How many movies and shows have been released in only a limited fashion on services like Netflix, or even not released at all? It's perhaps only natural, then, that it would fall to entertainment and computer software companies like Microsoft to pick up the torch. And while there have been a number of professional original webseries that have cropped up over the past several years - perhaps most notably, Felica Day's The Guild - it should be interesting to see what a group with Microsoft's money behind it can do.